There’s a host of great TBL reading coming your way for the summer. 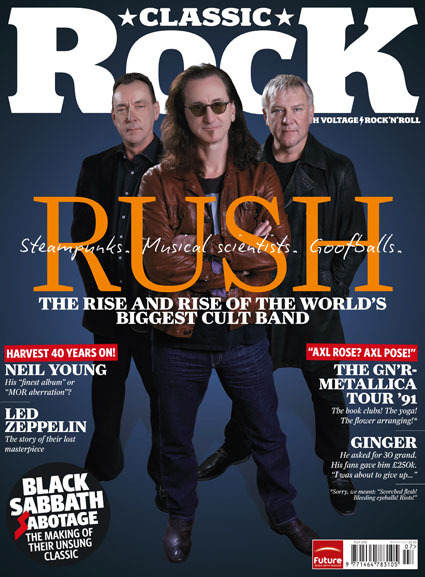 I’ve just been looking over the final proofs of the new issue of the new Tight But Loose magazine – and I have to say this is simply one of the best issues ever – with a varied mix news, views and features, all guaranteed to take you closer to the world of Led Zeppelin. I really do want to shout about this one from the rooftops because it really deserves to be seen and read… and what’s not to like! 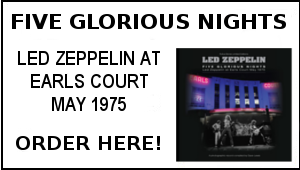 TBL Investigates: Exactly when and where did Led Zeppelin stage their first band rehearsal? Mike Tremaglio gathers the facts in an extensive research feature that offers the most accurate timeline ever published of The Yardbirds transistor into Led Zeppelin. Plus the TBL editors step out onto the streets of Chinatown in search of more proof of when history was made in August 1968. The end result is one of the most insightful features in this magazine’s long history. Warren Grant: ‘’My father was the man who Led Zeppelin – these are my memories’’: Warren Grant relays his memories of being right in the centre of the world of Led Zeppelin as the son of the man who just happened to be their manager and one of the most powerful figures in the music industry. In the first part of the interview, Warren recalls his early years at their Horselunges manor house in East Sussex as his family reaped the rewards of their father’s many years of hard work plus his experiences of being at the curtailed Tampa show and Oakland Coliseum show in 1977 –all illustrated with photos from Warren’s personal collection. Led Zeppelin 1972: Thunder Down Under: Mike Tremaglio tracks Zep on tour in Australia and New Zealand 40 years on – every show of the tour analysed and illustrated with rare photos and images. 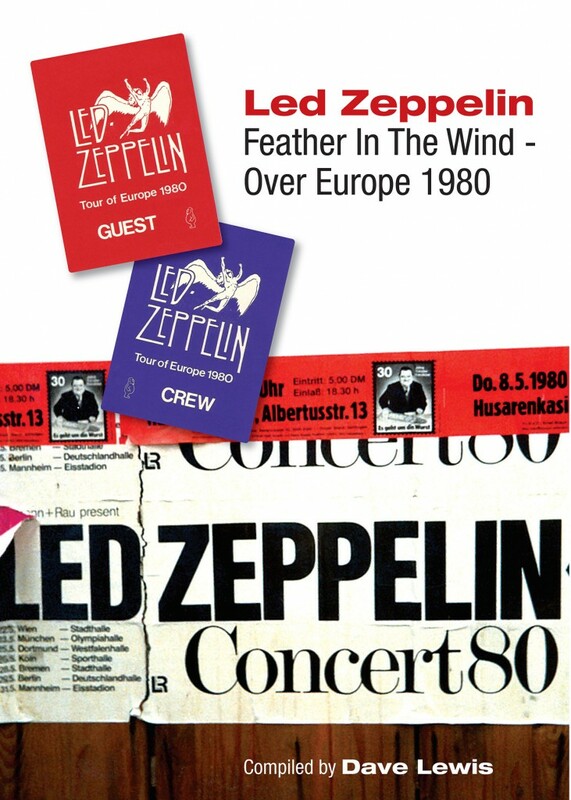 Plus Gerard Sparaco highlights the unofficial CD releases that capture key Zep live on the road moments during their Australian and New Zealand tour dates. The Taping of the Thunder Down Under – The Live in Sydney TBL interviews: A revealing insight into how the Led Zeppelin February 27th 1972 Sydney Showgrounds concert was recorded by a member of the audience on a National Panasonic tape deck – and how the tape was subsequently restored nearly 30 years later. 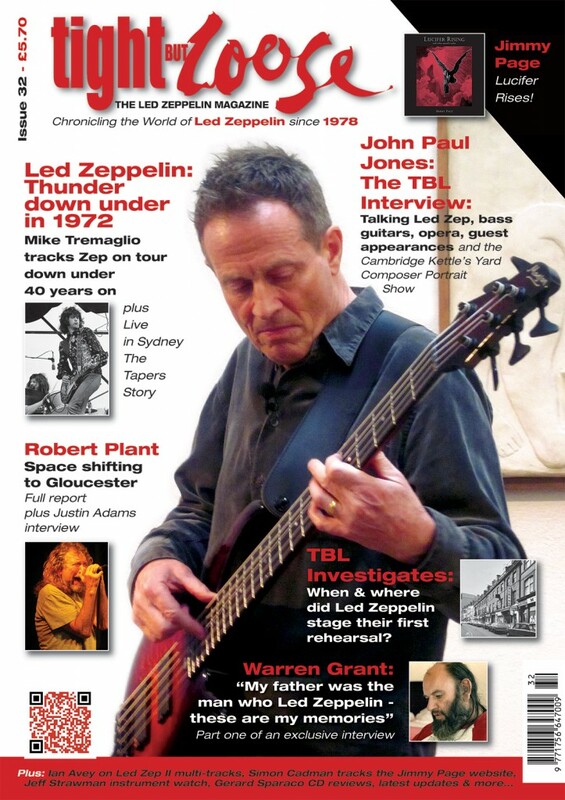 John Paul Jones: The TBL Interview: Talking Led Zep, bass guitars, opera and guest appearances and the Kettle’s Yard Composer Portrait event in an exclusive TBL interview. John Paul Jones News Reports: At the London Bass Guitar Fair, Floating in Warwick with Robyn Hitchcock, down under with Seasick Steve, at the John Cage Musicircus and the Kettle’s Yard Cambridge Composer Portrait event. Jimmy Page.com Website Watch: Simon Cadman reports on the Jimmy Page web site activity of the past three months. Jimmy Page Lucifer Rising and other Soundtracks: Dave Lewis steps in through the soundscapes to dissect the recently released great lost Page soundtrack album of the 1970s. Robert Plant and the Sensational Space Shifters in Gloucester: The live debut of Robert Plant new ad hoc line up caused the biggest Zep related ticket rush since the 02 reunion. Dave Lewis reports from down the front on the welcome return of the old witchdoctor. Plus Justin Adams in another exclusive TBL interview – Space Shifter/Strange Sensation guitarist Justin Adams relays his thoughts on the Gloucester Guildhall gig, Ju Ju summer festival dates & a decade of working with Robert Plant. Multi-tracking Led Zeppelin 11: Ian Avey dissects the recently surfaced multi-track recordings of four songs from the Led Zeppelin II album. 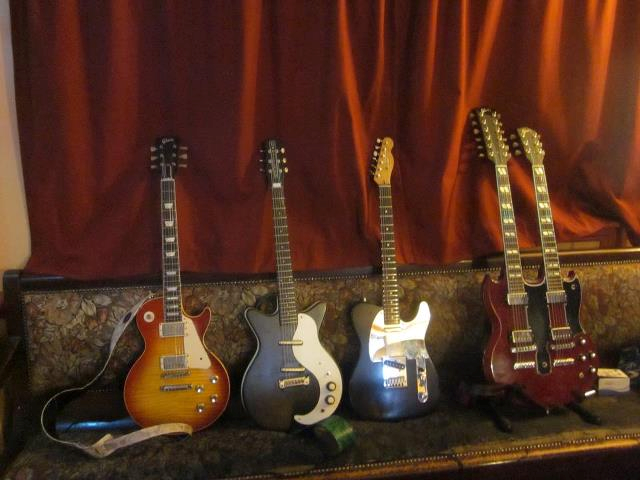 Jeff Strawman’s Instrument Watch: The first of a regular TBL series focusing on the instruments and gear deployed by the members of Led Zeppelin. In this issue, Jeff chronicles Jimmy Page’s Gibson EDS 1275 double neck guitar. Underground Uprising: Gerard Sparaco rounds up the latest underground CD releases including Berkeley Daze First Night, LZ Riders in AZ and The Calm & the Storm. 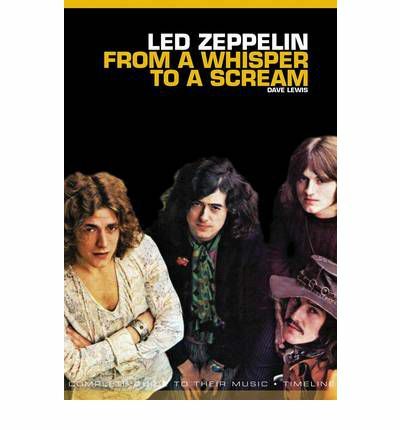 From a Whisper to a Scream –the Complete Guide to the Music of Led Zeppelin: Details of the new book by Dave Lewis due out in July via Omnibus Press, This is an extensive album by album track by track analysis of every Led Zeppelin recording. The book is guaranteed to take you make to the music with fresh perspective .There’s details of the exclusive TBL signed by the author edition with individually numbered insert and only available via the TBL website. As you can see we had an eleventh hour change of cover -with one of my JPJ Kettle’s Yard pics dropping in. Once again Mick Lowe has done a fantastic design job on all this –I’d also like to offer sincere thanks to Mike Tremaglio for his incredible contributions and all his many hours of research and for helping over see the final text, Gary Foy for all his unbflagging support, John Paul Jones ,Warren Grant and Justin Adams for giving me their time for interviews, and Gerard Sparaco, Jeff Strawman, Simon Cadman and Ian Avey for their input into making the magazine what it is. TBL 32 is at the printers now and is set for distribution next week – so get ready to set some time aside to soak up this latest outpouring of essential Zep reading. 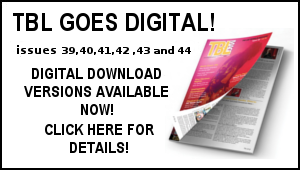 If you are new to TBL – this is the ideal issue to step on board! If you a past subscriber – don’t miss out –re-subscribe now! TBL 32 kicks off the three issue TBL 2012 subscription. By subscribing to the magazine you will never miss out (past sold out back issues are in regular demand on on eBay) and each issue will be sent to you as published (TBL 32 May –TBL 33 September and TBL 34 January 2013). To order the TBL 2012 Subscription which commences with TBL 32 – go to the TBL 2012 Subscription link here and follow the instructions to pay via paypal. 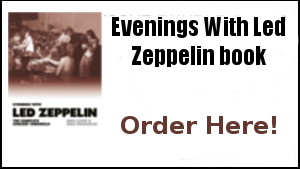 Get on board for the Zep Fix you can rely on! Next up…here are the details at long last of a project I’ve been beavering away on for weeks on end – and has now finally been signed off. First published in 1994 by Omnibus Press and based on my pioneering track by track analysis of the Zep catalogue in the A Celebration book,The Complete Guide To the Music of Led Zeppelin has undergone a major overhaul. Make that a massive, major overhaul. It will be published under the title From A Whisper To A Scream –The Complete Guide to the Music of Led Zeppelin by Omnibus Press in mid July. I’ve been working away on this for the past few months. I have revisited every aspect of the text to update it fully and add new text where relevant. In effect it’s a new book. 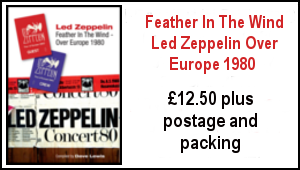 Alongside the original ten albums, it includes full analysis of the Remasters box set, BBC Sessions album, How The West Was Won live set, The Song Remains The Same revamped edition and the official Led Zeppelin DVD. There is also a guide to bootleg recordings and outtakes and an overview of the 02 Arena reunion concert. Along the way there’s masses of little known facts about the tracks as I attain to offer the most accurate account of where, when and how Led Zeppelin created their enduring recorded legacy. The overall aim being to take every reader back to the music with fresh perspective. Got to say it again – I am really pleased with how this worked out. Once I got into it there was no stone left unturned. I need to offer thanks again to Mike Tremaglio for his input and overseeing of the text – we have recently had a couple of mammoth skype sessions in assessing the text to get it as right as possible. I think fans old and new will find much to enjoy from this latest outpouring. Writing this book inspired me to re-investigate the delights of the entire Zep catalogue – and I am sure that will be the case for all who read it. There will be a special edition of the book available only via the TBL web site –this version will include an exclusive individually numbered insert that has a question and answer session with me about the writing of the book and where it all stands – and all books are personally signed by the author. The book is due for publication in mid July. Consider this your one stop, easy access companion to their timeless catalogue of work. You can pre order the book via this link – all pre-orders received will be allocated the lowest individually numbered inserts as received. Other stuff: Busy here on preparing the distribution of TBL 32 and planning the summer writing schedule. Football – got to hand it to Chelsea for their spirited performance last Saturday – the Drogba equalizer has to be one of the all time great headed goals. It was just a shame that their win rendered Spurs to the Europa League. Anyway that’s the football season finished now until…well tomorrow night when England play Norway in a warm up for the European Championships – here we go again! The day out in Cambridge last week was a real special one and being in such close proximity to a member of Led Zeppelin at lunchtime on a Sunday was something to be cherished. Thanks to the Led Zed boys for an enjoyable afternoon at their gig at the Grapes pub nearby. I couldn’t resist this pic below – who needs Baron Wolman! Right –better get back to sticking stamps on envelopes for the impending mail out of TBL 32 –have yourselves a great weekend. 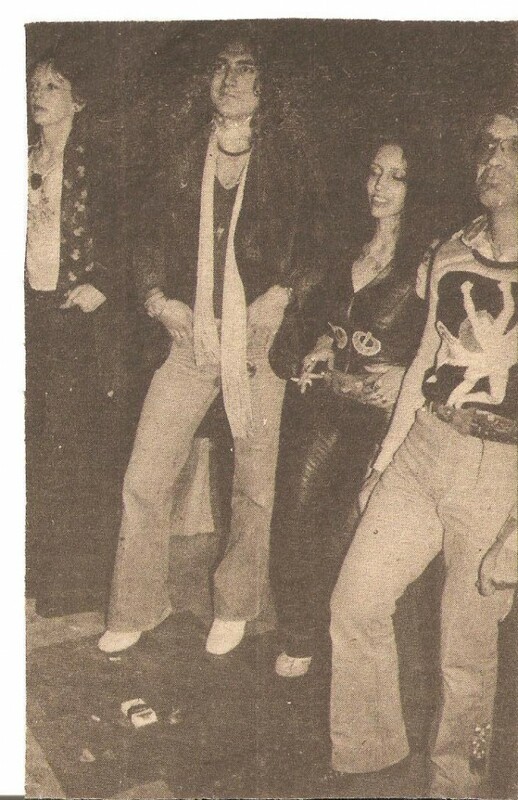 The photo shows the Bedford Crew in front of the Earls Court stage May 24th 1975 – DL with mirror shades and patchwork jeans, Dec with his school scarve (I kid you not), Phil H with denim coat as advertised in NME and Gary Felts with custom made Zep top hat. Having (one of ) the time (s) of our lives…. Images ingrained on my brain for 35 years: Watching Jimmy slither across the stage as they hit Sick Again, Plant seemingly lost in a trance right in front of us as Page did the solo in Over The Hills, dry ice seeping above us over the front rows in No Quarter (should have bottled it –imagine that on eBay! ), Jimmy holding the Gibson double neck aloft during the Song Remains intro, the stand up microphones being brought out for the four part harmony of Tangerine, being so close to them clustered together for the acoustic set (incidentally listen to the various soundboard bootlegs – just before Going To California Robert introduces the song saying ‘’This is a song about the would be hope for the ultimate…for the ultimate’’ – after which you can hear a distant yelled squeal just before somebody starts whistling – that’s my squeal folks! ), Trampled Underfoot and the revolving lighting creating a real sense of speed, the normally reserved Dec next to me going crazy in a manner I’ve not seen since, Page’s violin bow and going ”Ahhh’! as the lasers spiraled above us. The last few moments of Stairway as the mirrorball created that swirling spinning effect and thinking I must have died and gone to heaven! Above -Robert and Maureen at the Earls Court party not long after I had been in his company! There would be many dazzling episodes ahead, but perhaps nothing quite like with the sheer uncomplicated joy and optimism of that week in May 1975 all of 37 years ago. Excellent information on the website as always…, Cheque in the post for ‘From a Whisper to a Scream’. Sounds like a great read / update. I’m yet to be convinced to purchase another version of ‘Then As It Was’. The originally issued version was superb. But do I need to invest in another copy? Is the update really that good to be essential. Convince me.!! Keep up the good work. Really looking forward to the next issue of the TBL magazine. I enjoy your ‘blogs’, including the more personal stuff. Which makes me feel like I know you. 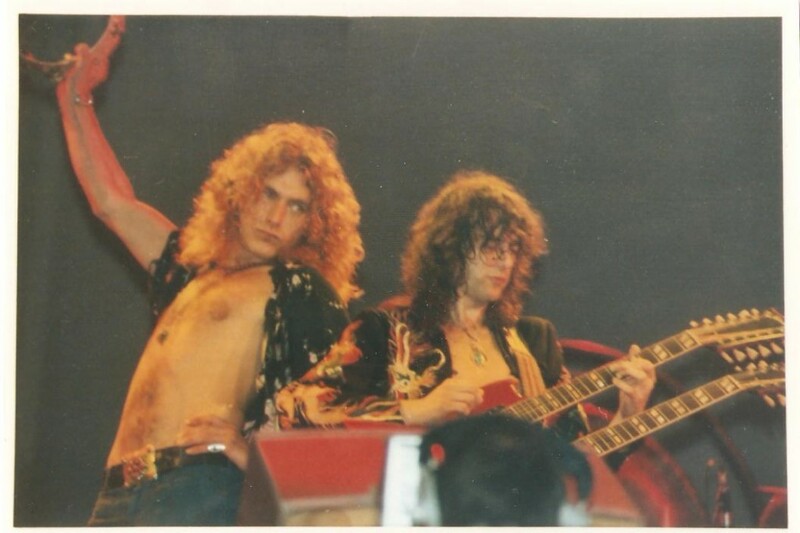 Hey— I’m a fan of Dave Lewis as well as Led Zeppelin now. Keep the torch burning Dave. ..
Just a quickie on JP. Please deliver on your promises of new music. If you want to just do what you are doing then fine (you’ve earned it), but please quit giving us all hope if they are empty promises.